Mental health in our country is tragically misunderstood. Mental health treatment is underfunded and often under-regulated. Persons with mental illness are treated like second-class citizens, and illnesses are still not understood or even classified as a disease. As a result, there are some unscrupulous providers who prey on vulnerable mental health consumers. Some of them promise quick fixes with dubious treatments, often charging tens of thousands of dollars in the promise. Our rehabilitation lawyers understand the legal issues surrounding mental illness and addiction treatment. Prior to becoming a lawyer for victims, J Reinan represented the American Psychiatric Association’s insurance company. As a result, he gained extensive knowledge and trial experience in mental health, addiction, and psychiatric litigation. 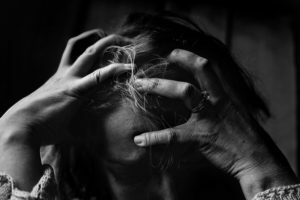 In recent years, our wrongful death law firm has brought important cases against mental health treatment facilities that have misrepresented their credentials or otherwise taken advantage of vulnerable families suffering from mental health and addiction issues, causing serious and sometimes irreparable harm to them. Our firm is comprised of experienced neglect attorneys that have brought over 25 civil cases on behalf of families who were victims of these abuses of power by mental health and addiction treatment providers. Many of these cases involved the abuse of vulnerable adolescent and young adults who sought treatment for their mental health needs. We understand that abuse in the context of these young individuals who are desperately seeking help can have devastating and sometimes irreversible effects. We believe these providers must be held responsible, and we have unmatched experience in this field. If you feel you or a loved one has been the victim of a mental health/drug and alcohol rehabilitation provider, please contact one of our rehabilitation lawyers today at (303) 894-0383. If you know someone that was abused or neglected while in a nursing home, we have experienced Colorado nursing home abuse and neglect lawyers that can help.